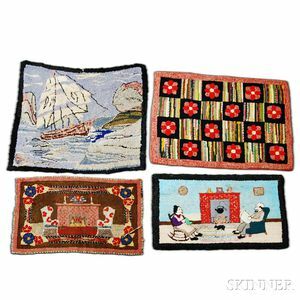 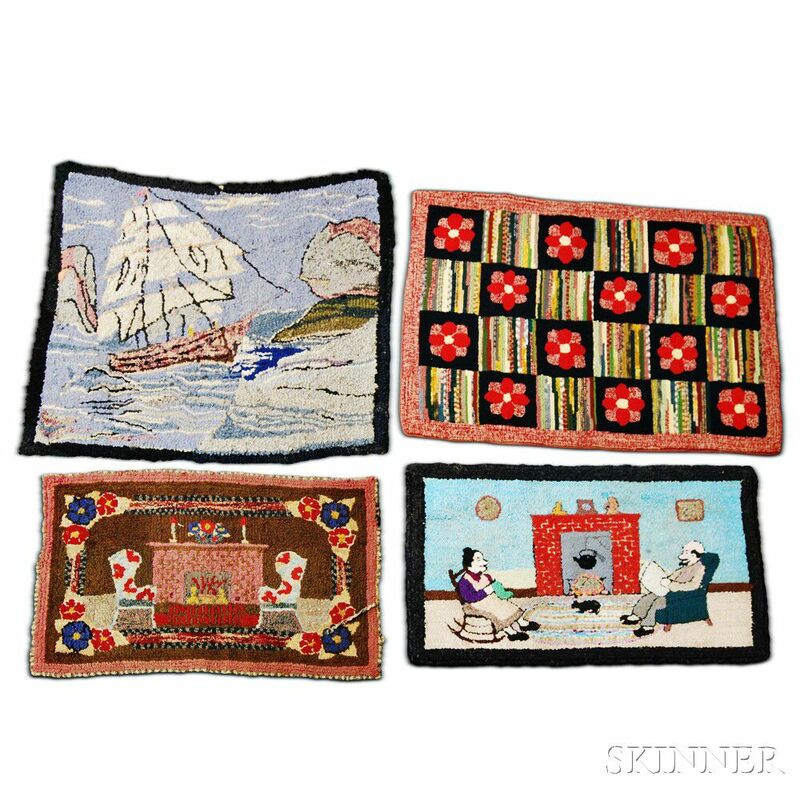 Four Hooked Rugs, 19th/20th century, depicting a coastal scene with ship, two hearth scenes, and a floral medallion, (imperfections), ht. to 33, wd. to 39 in.